Let’s be very clear. The big first step in saving cities like Houston and regions like South Asia from this global warming nightmare we’re creating is to replace the chief cause of the problem with something else. And when the central driver of global warming is fossil fuel burning, then you can’t solve that problem by continuing to dig up fossil carbon and combust it. Full stop. That’s why visionaries like Bill McKibben and agencies like 350.org and the Sierra Club are now engaged in a campaign to promote 100 percent renewable energy policies at every level of government. Under such policies, an increasing number of these governments and institutions commit to using only renewable energy. And they do so within a prescribed timeframe. It’s a policy aimed at solving the climate crisis while saving the stakeholders themselves. At not continuing along a path toward worse disasters than Harvey and ultimately lethal climates like those of the Permian. At not putting stakeholder cities, states and industries at ever increasing risk. Ultimately, it’s aimed at combating the central cause of global warming — fossil fuels — by leveraging the superior economics of wind and solar to crowd them out. A goal that’s enabled by the fundamental economic superiority of renewables. And the timing couldn’t be better. For renewable energy, in the form of wind and solar, is now less expensive in most applications than gas and coal. And the price is continuing to drop. 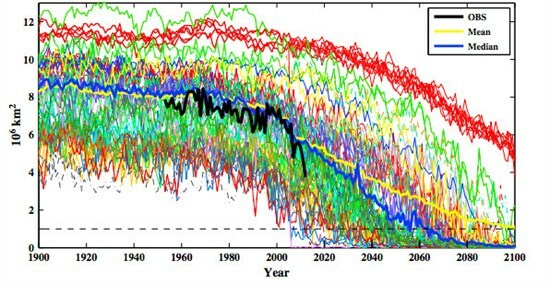 This means that the economic argument for fossil fuels has fewer and fewer legs to stand on. Arguments attacking renewables increasingly rely on either baseless and false inflations of environmental damage, or on a downplaying of renewable energy’s economic strength and potential future capacity — attempting to divide and conquer environmentalists by creating inaccurate impressions or to tamp down enthusiasm among renewable energy supporters. Such anti-factual messaging, however, reveals the present economic, political and social vulnerabilities of fossil fuel interests as they are forced more and more to rely on outright deception. Now, as with climate change, the fossil fuel special interests are facing off against a rising tide of scientific evidence. This time, the science isn’t just revealing the causes of environmental harm in the form of fossil fuel burning — it is showing why renewable energy’s growth rate will be faster and more transformative than expected. A new study in Nature this week found that solar energy alone would represent up to 50 percent of global electricity generation capacity by 2050 on the basis of its economic strength alone. Solar benefits from a simplicity of design, use of common materials, easy scalability, a proven track record of increasing efficiency over time, and the ability to easily loop in technological design breakthroughs. These advantages have allowed solar to reduce its price by 22 percent for each doubling of installed capacity. Wind benefits from similar economies of scale. And a new study out from the National Renewable Energy Lab found that the price of wind would fall by another 50 percent through 2030. Estimates that are up from 30 percent even earlier this year. A pretty amazing ability considering the fact that wind is already the lowest cost energy source in many applications. This economic strength really gives environmental advocacy groups an effective tool for achieving goals going forward. 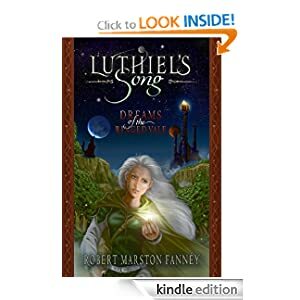 Now, a zero emitting technology that produces orders of magnitude less harm than present energy systems is within reach. Now cities, states and nations can change the world for the better. And now they can do it on the cheap. But not only does this thrust jibe with traditional environmental goals — it appeals to the 72 percent of republicans who support renewable energy, regardless of their views on climate change. In this way, the 100 percent renewable campaign is one that appeals to all Americans and can therefore gain ground in pretty much every state and region. Wind Power Costs Could Drop 50 Percent. Solar PV Could Provide up to 50 Percent Global Power. Damn. 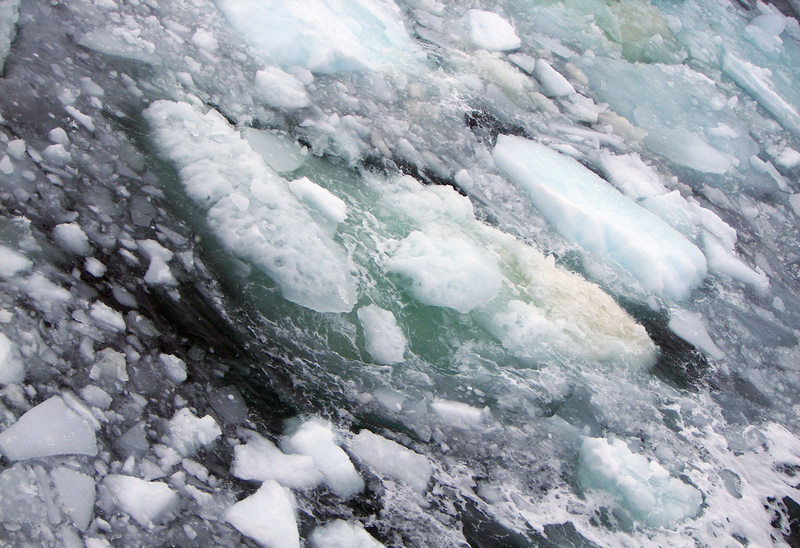 2012 was the year sea ice wasn’t supposed to hit record melt, but did. 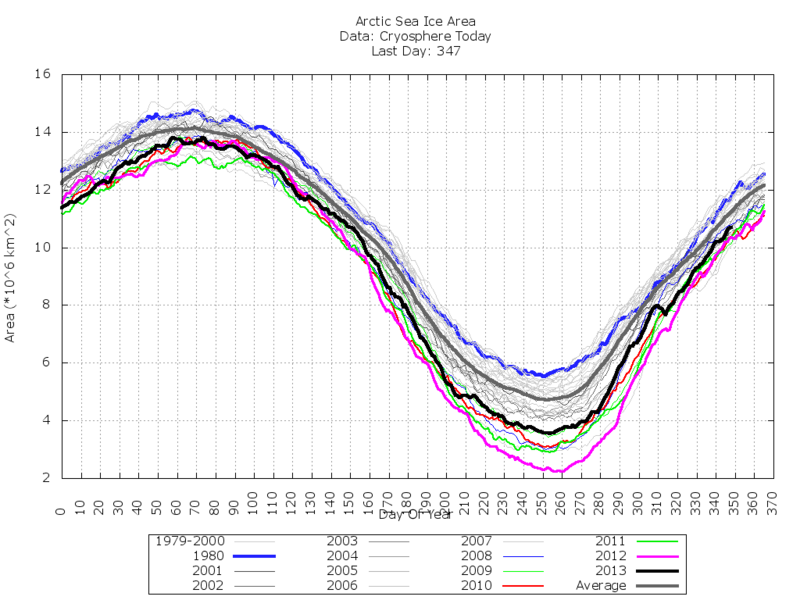 Winter of 2012 showed almost average sea ice area and extent. The summer that came was cloudy, reducing the amount of sunlight able to plunge down and melt the surface ice. And regions of the Arctic showed cooler than usual sea surface temperatures. So what happened? 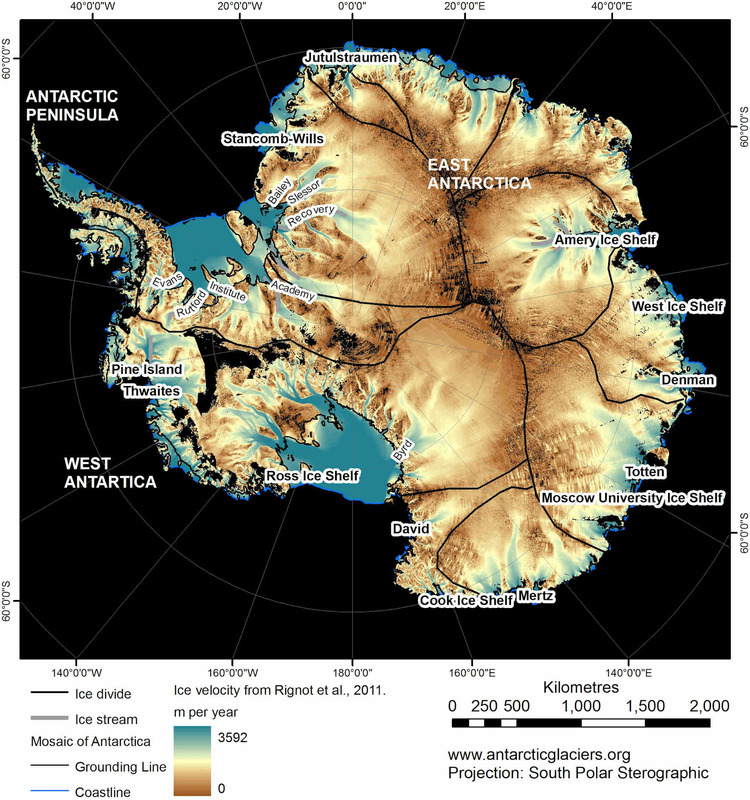 Why did 2012 see record melt when it shouldn’t have? 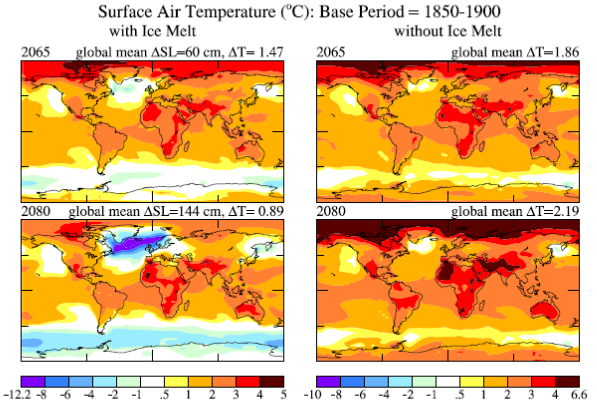 What does this anomalous record melt mean for the 2013 melt season and the seasons to follow? 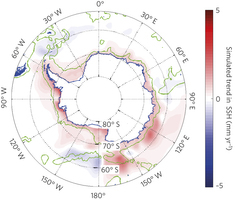 A new paper from the Cryospheric Sciences Laboratory examines the causes of 2012’s odd record melt and makes some sobering conclusions. 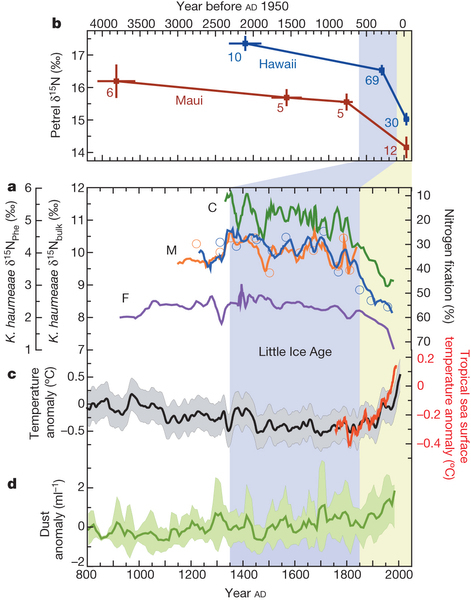 The underlying driver appears to be an ongoing rise in ocean heat content combined with an ever-weakening ice sheet. The study notes that, though a major storm moved through the Arctic and enhanced melt, increasing ocean heat content combined with a growing number of opportunities for ocean water mixing and warmer water invasion from below provided the force necessary to push 2012 into record low territory. Further, the paper notes that the massive storm churning through the Arctic during early August ripped the ice apart, creating enhanced melting by cutting 400,000 square kilometers of sea ice from the main pack. This separated sea ice couldn’t withstand the elemental assault of summer and quickly melted away. Storms have been strengthening in the Arctic during summer ever since major sea ice melt began in the early 80s, the paper notes. And open water created by the receding ice both adds heat to the Arctic environment even as it becomes a source for enhanced wave action assaulting the ice pack. 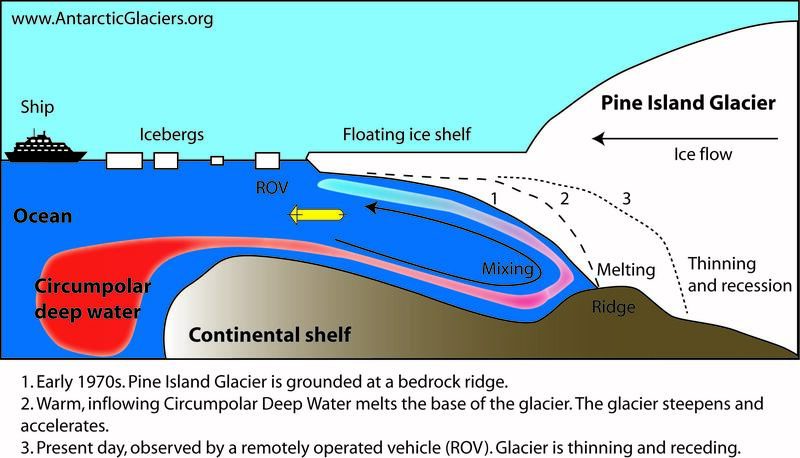 In addition to the elements contributing to melt listed above, the paper notes that loss of thick, multiyear ice was also played a central role in 2012’s outlandish melt. This weak ice state set conditions whereby other factors could play a greater role. 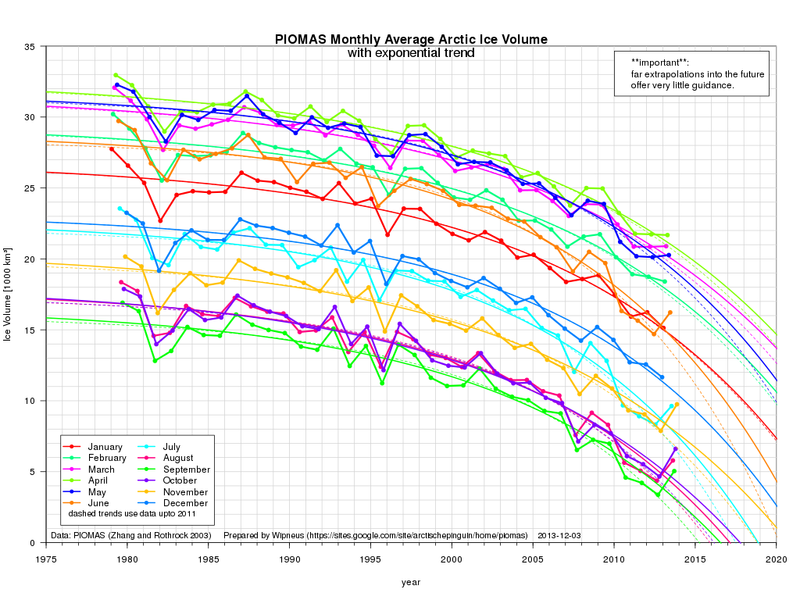 By winter 2013, multiyear ice is at its lowest values ever. Even worse, a major cracking event in February and March 2013 created numerous weaknesses and fractures spanning even the thickest ice. The leads (cracks) are covered in thinner, weaker ice. They are more easy to melt from top, bottom or sides. Once they do melt, the amazingly fractured state of even the thickest ice means that much of this ice may well drift in a loose assembly rather than remaining a part of a contiguous sheet. 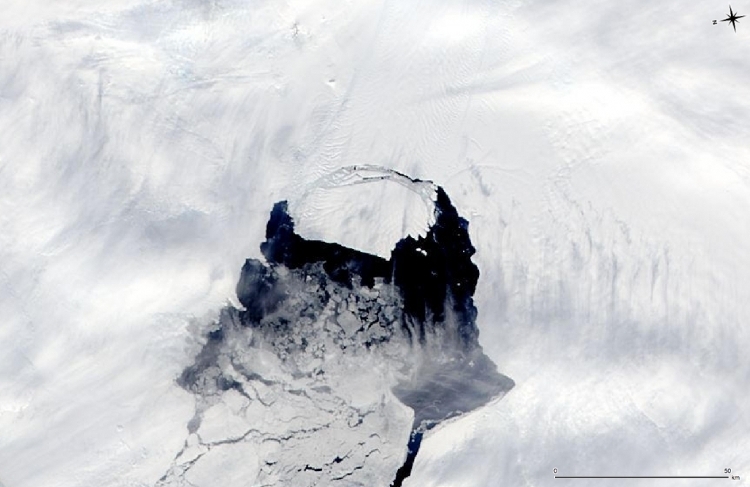 Such fragments of sea ice are subject to being blown about by the wind and pushed around by waves, making separation from the larger pack much more likely. 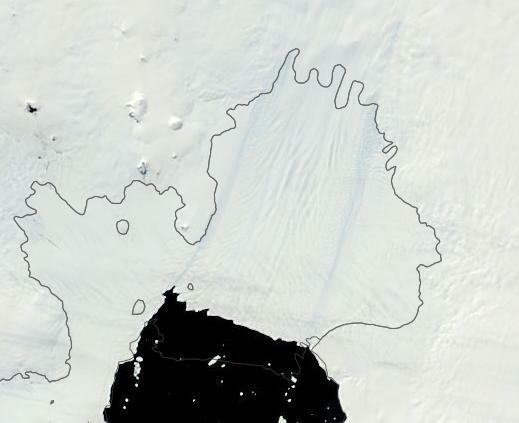 Separation during summertime is a death sentence to sea ice because it has lost the heat reflecting capacity of neighboring ice and is, instead, surrounded by a dark, sun-absorbing ocean. So, it would seem, given the current fragile state of ice, that only a cloudy, cool, calm summer would keep a new record melt event from occurring. Since these conditions appear unlikely in an increasingly stormy, windy, warm, and wavy Arctic composed of an expanding dark ocean, the most likely outcome is for another record year. Even worse, the cracking of remaining thick ice during the past month adds another element of fragility to an already vulnerable system. ENSO, Arctic Oscillation to Play A Role? In the past, Arctic researchers have attempted to correlate positive or negative phases of Arctic Oscillation (AO) and/or the ENSO cycle to major melt events. However, it appears that, over the past five years, neither ENSO nor AO was the deciding factor in melt. During the 2007 record melt, a weak La Nina appeared during summer and the Arctic Oscillation was in a slightly negative phase. During 2010’s record volume melt, El Nino dominated and AO was strongly negative. And during 2012, the summer period was ENSO neutral with AO in a slightly positive phase. Varied ENSO and AO conditions during major melt events hint that neither of these was the primary driver of melt. 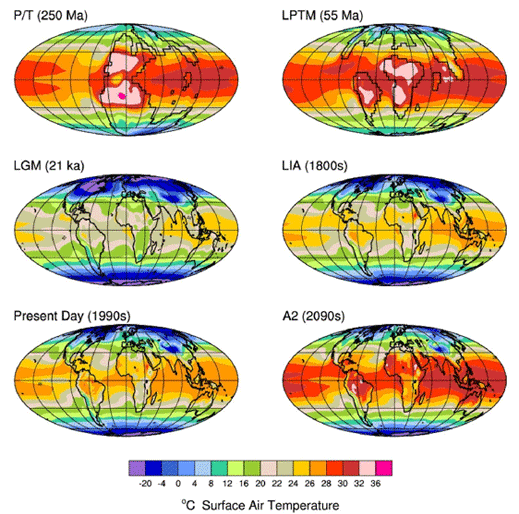 Instead, the most likely drivers are an ever-rising ocean heat content and an increasingly fragile ice sheet. Coupled with a stormier Arctic and you have a state where major melt events become more and more likely with each passing year. 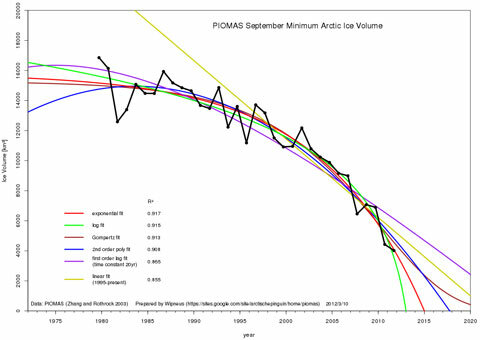 Only a reversal of this underlying trend or the introduction of a powerful negative feedback (large influx of fresh water, for example) would result in longer term ice recovery. But with human-caused climate change driving ever-greater ocean heat uptake, it appears likely that record Arctic melt seasons will continue or even increase in frequency (increasing Greenland melt may alter this trend, but current melt does not appear to be enough). 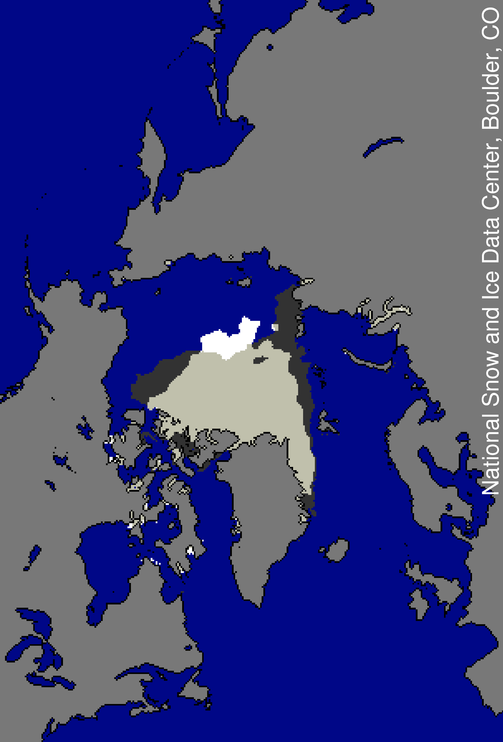 As noted in a previous blog, there also appears to be a high likelihood, given current melt trends, that one summer during the period of 2013-2017 will see complete melt and, therefore, a completely ice free Arctic. These are all conditions to consider as we enter the 2013 melt season.